There are two kinds of families: the kind that hunkers down in front of the game on Thanksgiving, and the kind that hunkers down in front of The Wizard of Oz. If you've skipped the 1939 classic in favor of football, or if you've only ever seen it on the small screen, throw on your sparkliest shoes and treat yourself to the showing at the Arcata Theatre Lounge on Sunday, Nov. 23 at 6 p.m. $5. Television simply can't convey the cannonball dive out of the dreary, black and white of the farm and into the eye-popping colors of Oz and its bizarre denizens. 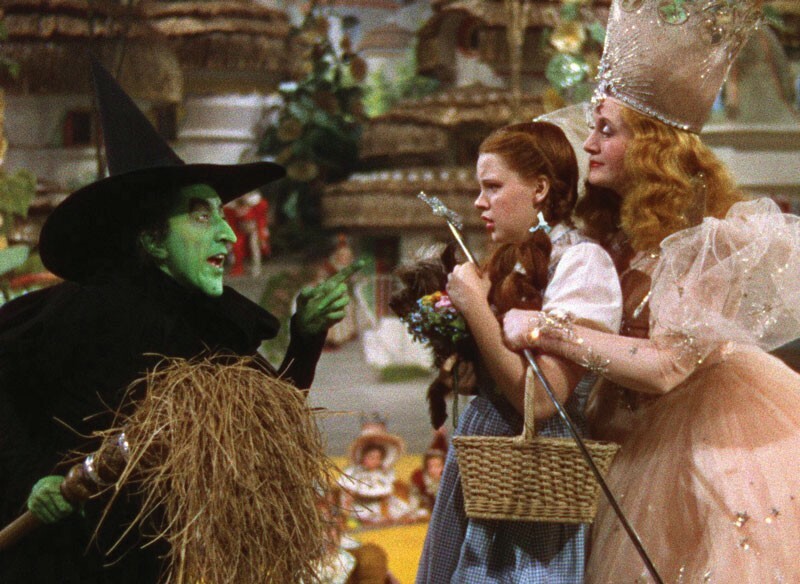 One song in and you'll understand why Judy Garland, as the dreamy and willful heroine Dorothy, became the face that launched a thousand drag queens. This movie, for all its cornball sentiment, kooky sets and naps in the poppy fields, holds up. But you're nervous about the flying monkeys. Well, of course you are. They creep everybody out. Just casually sneak out to the restroom, order another round for the table or pretend you've gotten an emergency text and avert your eyes. That's handling it like a grown-up.